The hospital had 300 beds and covered an area of 68,000 square feet. It would serve the community for almost 40 years before closing its doors for the final time in 1998. The current owner is a pediatrician who once worked in the hospital; it was purchased with the intent to sell. While inside the hospital to perform repairs, workers and family members of the doctor began having paranormal experiences. This led to the building being investigated at length, with hundreds of hours of documented paranormal data. In an effort to preserve the hospital as it is today, it is now being opened up by the owner and Vonore Area Paranormal Research for paranormal tours and events to help pay for its upkeep. 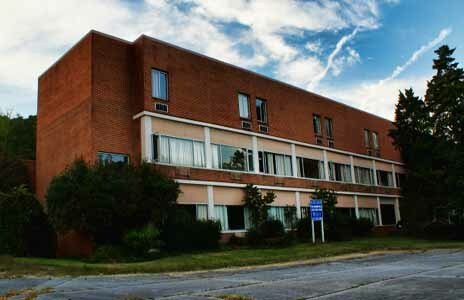 South Pittsburg Municipal Hospital has been investigated by only a handful of paranormal groups so far. The most notable of these teams was TV's Hollywood Ghost Hunters. The team of Ex Hollywood actors, writers and authors (Including "Friday the 13th's Kane Hodder, and actor/stuntman Rick McCallum) spent a night at the hospital and came away with amazing evidence. Other teams that have investigated have been Tennessee Paranormal, Clarksville Ghost Hunters, Knox Paranormal Investigators, and Vonore Area Paranormal Research (VAPR). This building was home to the VAPR-CON 2009 Paranormal Conference and the feedback was amazing, several of the investigators in attendance later remarked that it was the most active location ever visited. The owner son Evan Hayes says there have been things he has seen that no one can seem to explain. Hayes says he's seen locked doors become unlocked, and has doors mysteriously slam in his face. There has not been power here for years, but he says you can still see and hear things that just can't be explained. The elevator doors "ding" as if they are going to open, even though the elevators no longer operate. Phantom lights have been seen on in some sections of the hospital, even though there is no power. The sounds of phone's ringing are often heard, even though there are no phones, and the communication wires were all disconnected. Several of the tradesmen working at the hospital have reported hearing voices, singing and moans coming from empty rooms. Paranormal Investigators who have visited the hospital have had small stones thrown at them. EVP sessions carried out by investigators have recorded 13 different voices, including 3 children. Examples include a young girl that begs investigators to play with her, an elderly woman that orders visitors from her room, and a nurse giving medical instructions. One of the most prominent ghosts at the hospital is a man whose apparition has been seen in a room near the nurses' station he is said to respond to women who enter his room. Several EVP sessions have been recorded in response to a woman's questioning. On the deserted first floor a child's tricycle is said to move up and down the corridors ridden by an unseen child. The tricycle has also been known to vanish and appear on different floors of the hospital. One ghost is believed to be a former nurse who has returned to the hospital after her death. Visitors who have walked past her office have heard laughter coming from the room upon investigation it is always empty. In room 308 a doctor was killed by a psych patient who went berserk and stabbed him repeatedly. This room is now the location of many of the reports of paranormal activity, most of which are paired with a feeling of fear and/or despondency. A Large black mass has been witnessed in the room by paranormal investigators.